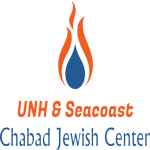 Currently, there is no mikvah in the Seacoast of New Hampshire. The closest mikvah is in Malden MA, approximately 1 hour south of Durham. Located on the premises of Congregation Beth Israel, Mikvah Mayanei Tovah is comfortable and aesthetic.